Have you noticed chewed food containers, greasy streaks on your floors, foul odors, or other disturbing changes to your home? If so, rats or mice may be responsible. If your house does have an infestation, getting rodent control as quickly as possible is of the utmost importance. Without prompt and proper treatment, rodents can spread disease and cause expensive damage throughout your home. Since 1991, countless homeowners have turned to Kilter for rodent control and have been satisfied with the results. We begin the process by providing a free home inspection, which allows us to determine the scope of the project and provide you with a tailored treatment strategy. We use only advanced methods and products, such as RO-DEX to treat rodents, ensuring efficient and effective results. 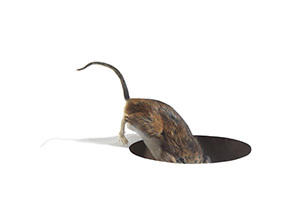 After sealing entry points throughout your home and implementing our rodent control system, we’ll return at regular intervals to rebait traps and remove rodents. We’ll perform a final inspection to ensure all rodents have been eliminated from your home and leave you with a two-year warranty for your peace of mind. At Kilter, we not only eliminate our customers’ rodent infestations, but we help them restore sanitary conditions to their homes. In fact, we can even replace insulation that may have been nested in by rats with TAP Pest Control Insulation to add long-lasting protection for your home. To learn more about our rodent control services and schedule a free inspection at your home in La Habra, CA, contact Kilter Termite and Pest Control today.